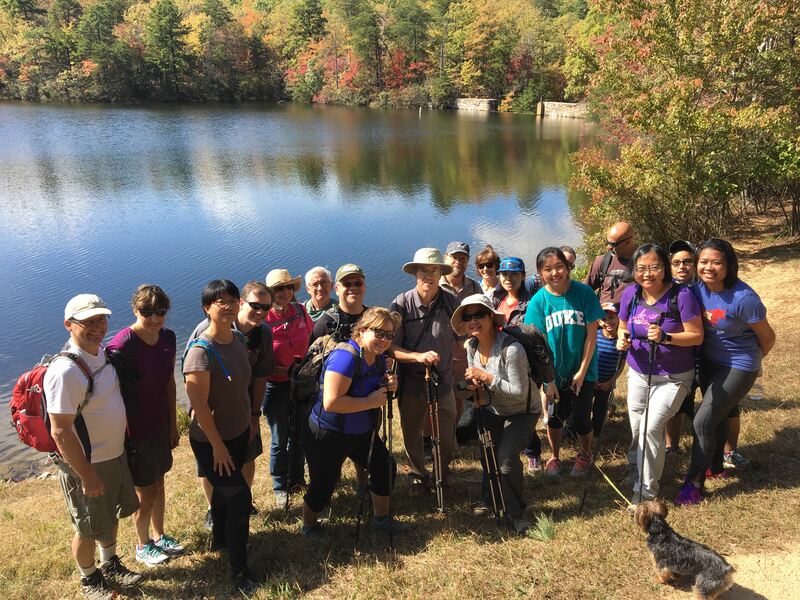 Triad Archives - GetGoing NC! When we launched our GetHiking! 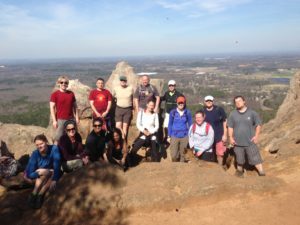 program three years ago, the goal was to offer fledgling hikers a supportive hiking environment and to expose more experienced hikers to new trails. Those remaining our overriding goals; we love hiking with you, and while we hope you love hiking with us, we realize that sometimes you’d rather hike alone, or perhaps expose less-experienced friends and family to the joys of hiking. That’s why we’ve moved into a second phase of GetHiking! GetHiking! Triangle in the Birkhead Mountain Wilderness. Why do I push hiking? Hiking is social. 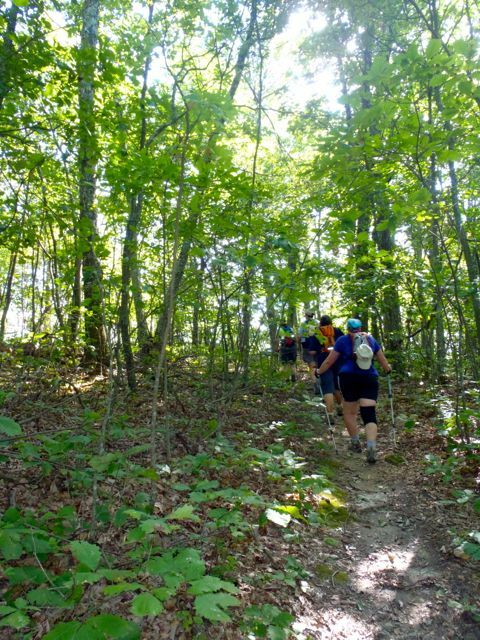 Of all the ways you can get your heart rate up, hiking is perhaps the most amenable to doing so with friends. The movement, the fresh air, the surroundings regardless of where they are, all contribute to a convivial atmosphere. It’s soothing. For a lot of us, being in the woods is a sedative. That’s not just me talking, there’s science to back that up (see below). It doesn’t feel like a workout. Sure, there may be times at the end of a long day where you realize your body is working, but typically that realization doesn’t occur until later on — when you try to get out of the car, for instance. 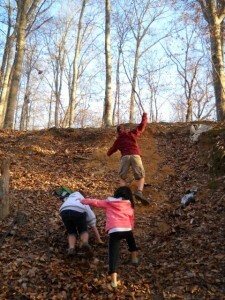 All of which is why last September GetGoingNC, with support from Great Outdoor Provision Co., launched the GetHiking! program. GetHiking! 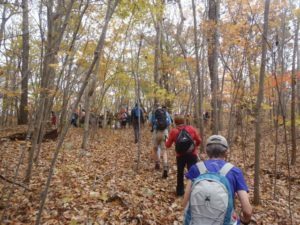 focuses on two audiences: Folks who have long been interested in hiking but, for whatever reason, have yet to take their first step into the woods. 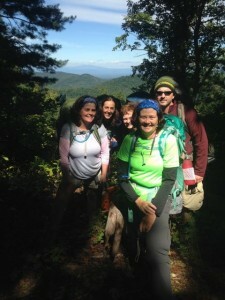 And more experienced hikers who would hike more if they knew more places to hike. For the former, our hikes are lead from the rear, meaning you’ll never hike alone. A guide will always be at the back of the pack. 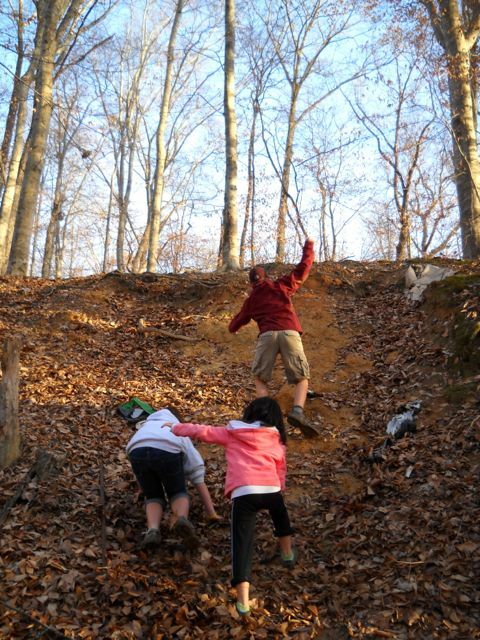 For the latter, we try and hit new trails every week, ensuring that you expand your universe of hiking options. 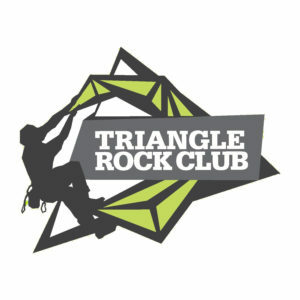 The program launched in the Triangle in September. To date, we now have more than 500 members. 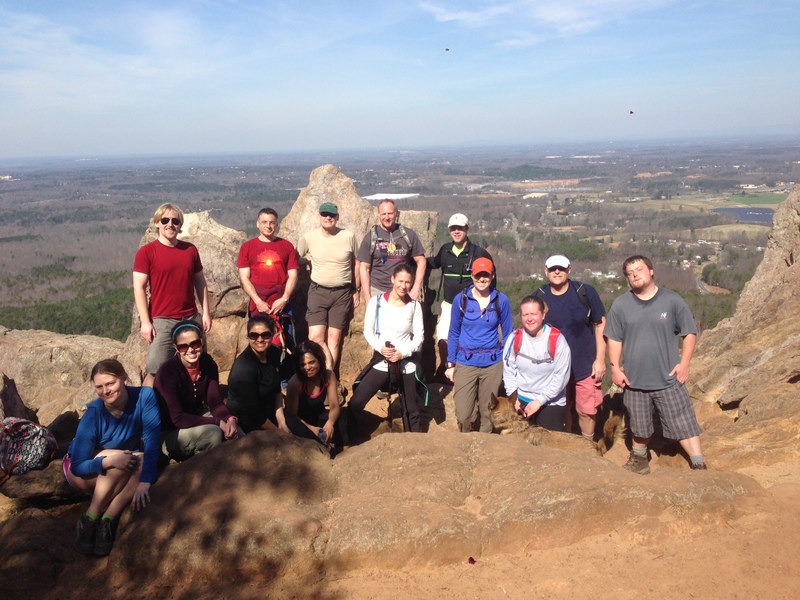 Our weekly hikes can be intimate, with as few as 15 hikers, or they can be events, with upwards of 70 participants.